Since the company's inception in 1976, Classic Industries has always been forging ahead to provide much-needed restoration parts for classic cars and trucks. The Classic Industries product line started with carpets for the first-generation Camaro, but it certainly didn't stop there. After becoming the industry leader in Camaro restoration parts, Classic Industries expanded into Firebird / Trans Am, Chevy II / Nova, Impala / Bel Air / Biscayne / Caprice, Chevy and GMC Trucks, 1955-57 "Tri-Five" Chevy, and most recently Mopar Dodge / Plymouth A, B, and E-body. 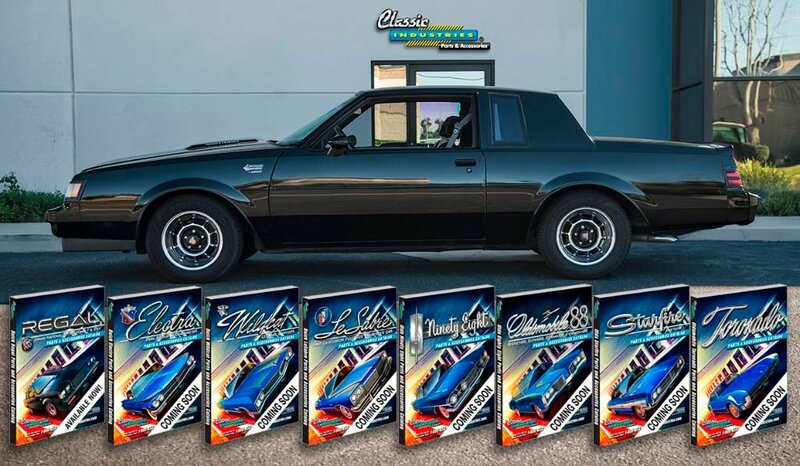 The innovation and expansion still isn't stopping — in Spring 2017, Classic industries proudly announced a new line of catalogs for Buick and Oldsmobile models.